Albert Le Sueur was born in Jersey, England, on Dec 8, 1849, the son of Philippe and Rachel (nee Bazin) Le Sueur. He graduated from Cambridge University in 1863, and received his astronomical education from John Couch Adams at the observatory near Cambridge in preparation for a task of unusual importance for someone of his age. 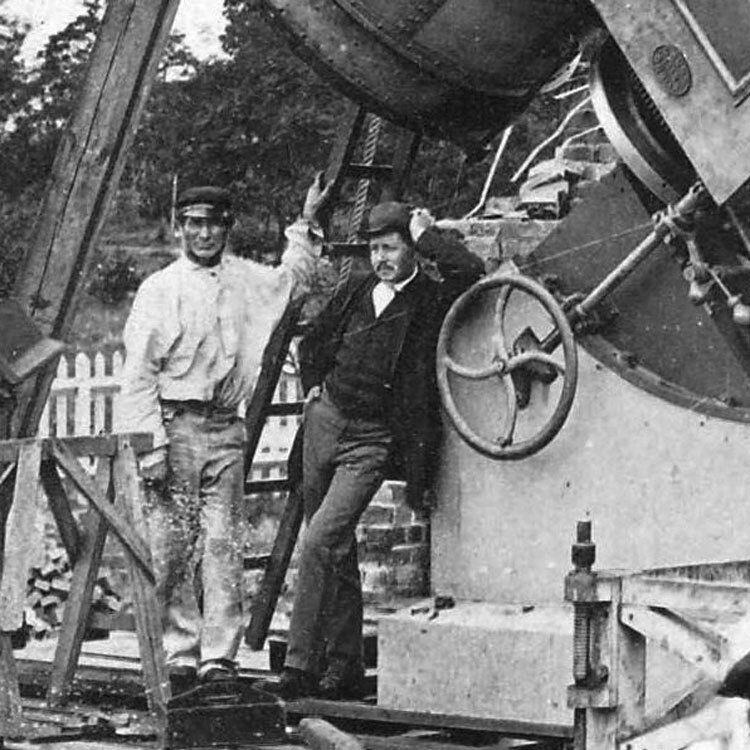 In 1866, though still only 16 years old, he moved to Dublin, Ireland to supervise the construction of the 48-inch Great Melbourne Telescope, which was meant to be the largest telescope in the world (Lord Rosse's 72-inch Leviathan having fallen into disrepair). 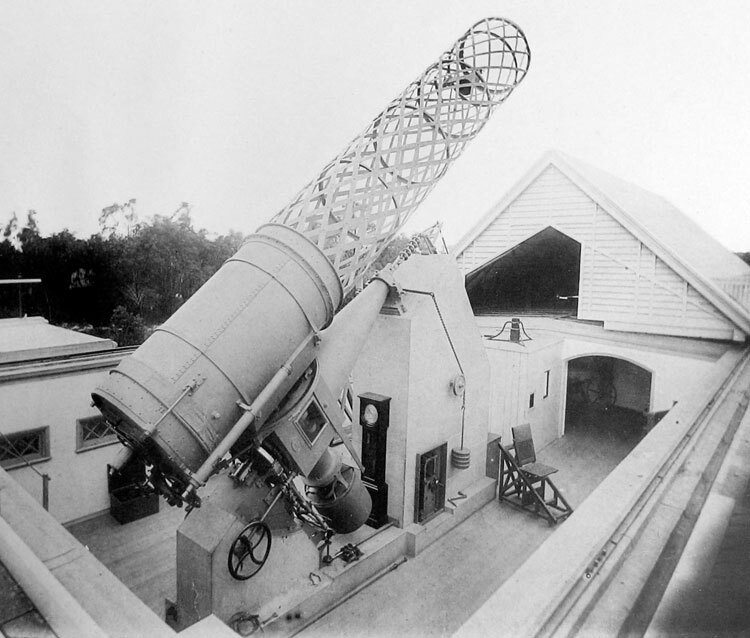 The telescope arrived in Melbourne, Australia in November 1868, and its assembly and associated construction was completed in 1869, at which time the 19-year old was assigned a position as its first observer. Despite his brief education he was technically proficient, a keen observer and excellent drawer. 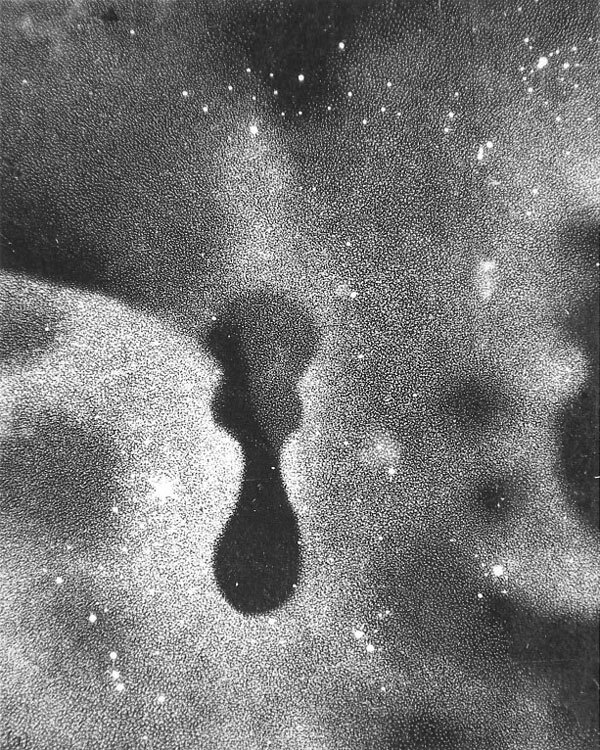 However, the telescope was doomed to failure, as it used a speculum metal mirror in an era when silvered glass mirrors were replacing speculum, and the Society responsible for its construction ignored recommendations that someone be sent to Melbourne who was capable of repolishing it when necessary (which since it basically sat outdoors when in use in a cold, windy and foggy climate, meant on a frequent basis). 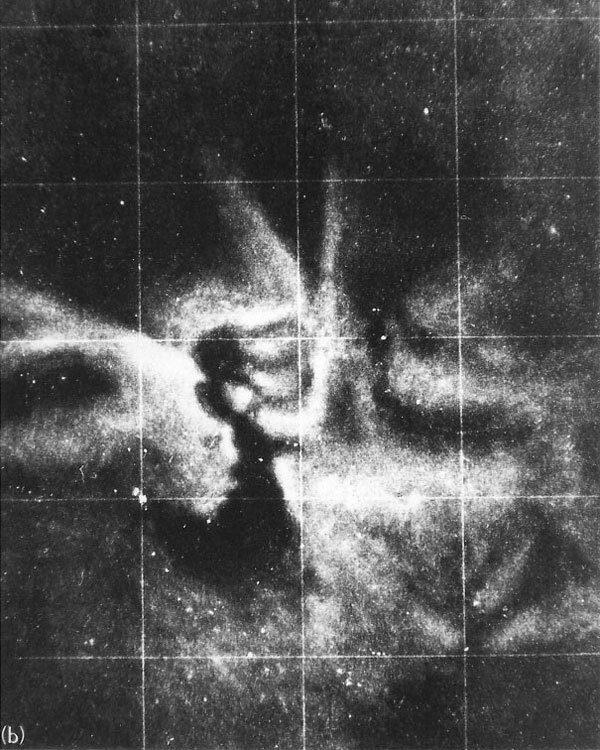 As a result it never performed satisfactorily, and although Le Sueur and his successors managed to obtain some observations of the Moon, bright stars and nebulae, they were never able to achieve the results that should have been possible with such a large instrument. Because of this Le Sueur did not discover any NGC/IC objects, and is in the list of Discoverers only because of his connection with the Great Melbourne Telescope. Though almost all the problems with the telescope were due to its poor location, much of the blame was laid at Le Sueur's feet. It appears that some of the criticism directed at his efforts to improve the performance of the telescope was justified, but that most of it was not, as none of his successors had much better success with the instrument. In any event, he quickly became dissatisfied with his position. For one thing, he had expected to be in charge of the observatory, but found that he was merely an employee of director Robert Ellery, who had no faith in Le Sueur's abilities or the telescope itself, which he felt incapable of producing decent images. This led to numerous arguments between the two. The final straw was a decision by the government to reduce all government expenses, which in Le Sueur's case meant to strip him of the pay he had been promised, providing only board and lodging in lieu of pay. He soon wrote a bitter letter of resignation, and in 1870 left for England after using the telescope for less than a year. Despite his then close proximity to the men he had worked with prior to leaving for Australia he refused to communicate with any of them, and abandoned his astronomical career by immediately returning to Jersey. I have not beeen able to determine exactly what he did with his remaining 36 years, but it appears that he became a successful businessman, as his death certificate listed him as a "commercial traveler", and images taken late in his life suggest that he and his family were well to do. As for that family, in 1875 he married Emily Renouf (born Sep 10, 1849), the daughter of Philip Renouf and Jane Elizabeth (nee Marett) of St. Helier, Jersey (though the wedding took place in London). Over the next 15 years they had five children, as shown in the family portrait below. According to a note on the back of the file print of the portrait, Le Sueur and his family moved to New Zealand in 1883, sailing on the SS Potosi from London on Jun 28, and arriving in New Zealand on Aug 24. His death certificate states that he died of pernicious anemia in Wellington on Apr 25, 1906 after 23 years of residence in New Zealand. He and his widow (who died Nov 25, 1930) are buried in the same plot at Karori Cemetery, in northwestern Wellington. A thumbnail image of Le Sueur in his later years is publicly viewable on the Ancestry.com site, and is the basis for the image used on the Discoverers page. All images shown on this page should be in the public domain, but anyone wishing to use the family portrait should read the National Library of New Zealand discussion about it. Portrait of the Le Sueur family. 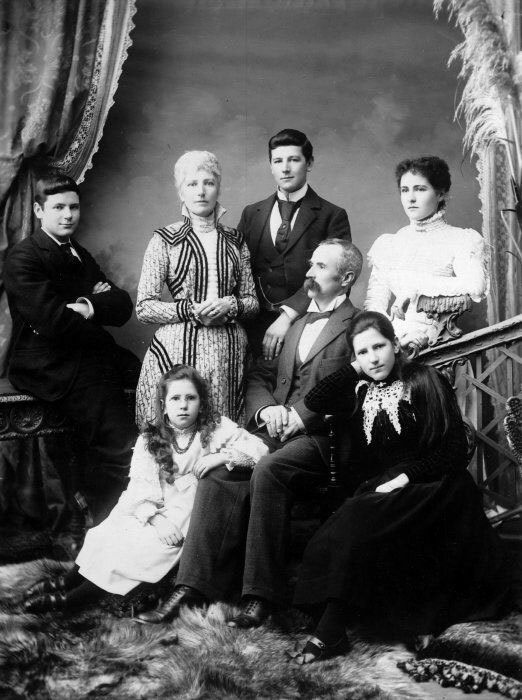 Back row, from left to right: Ivan James Le Sueur, Emily Le Sueur, Clarence Adolphus Le Sueur, Beatrice Emily Le Sueur. Sitting, from left to right: Eunice Le Sueur, Aldophus Albert Le Sueur, Constance Renouf Le Sueur. Taken by William Henry Scott Kinsey, mid to late 1890's (based on the fact that Eunice was born in or about 1890 and appears to be six to nine years old). 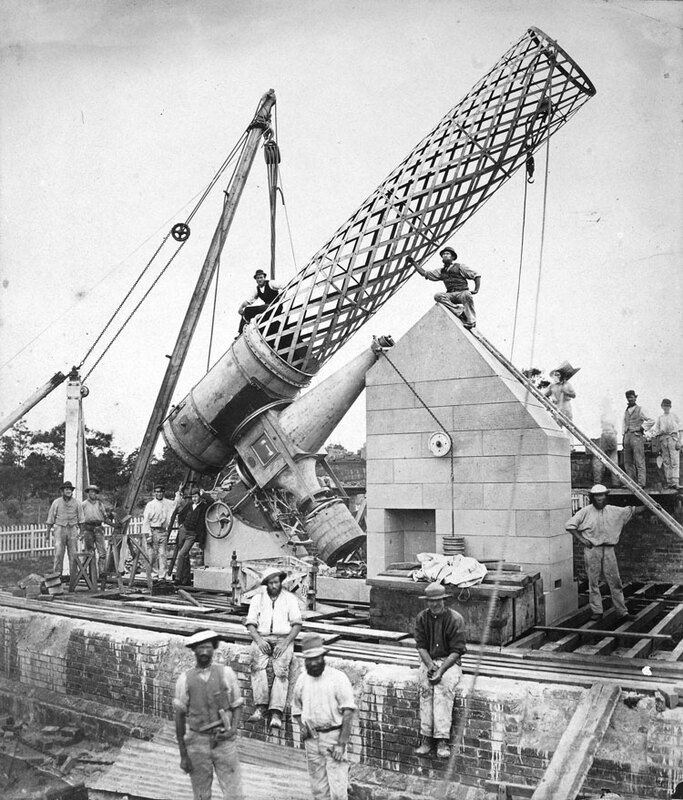 Above, an image of the Great Melbourne Telescope under construction in early 1869; Le Sueur is the young man in the dark suit leaning against the base of the telescope, as shown in a cropped version of the image, below.